Floyd, the former first-round pick who should be entering the prime of his career for the Vikings, is still unsure whether or not he’ll be able to play this season. 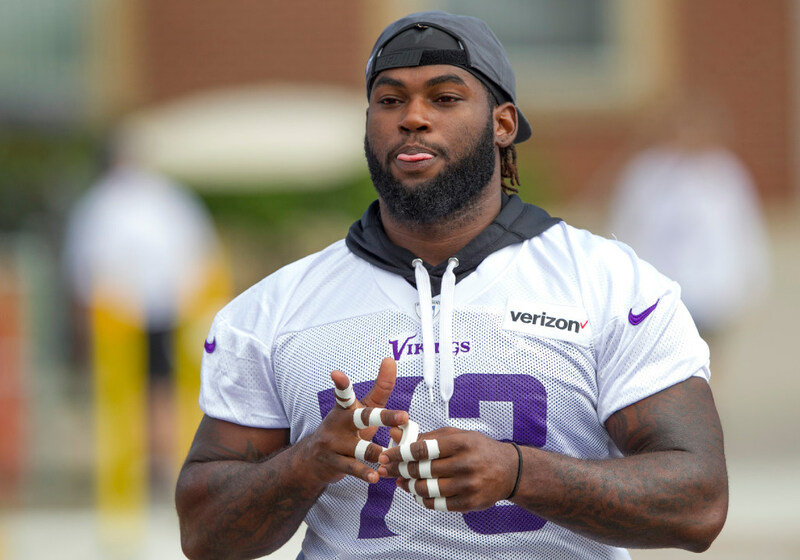 Sharrif Floyd joked around with his fellow Vikings defensive linemen on Wednesday, but he was still unable to join them during practice. Floyd, the former first-round pick who should be entering the prime of his career for the Vikings, is still unsure whether or not he’ll be able to play this season after complications from knee surgery in September caused nerve damage affecting his quadriceps in his right leg, a league source told the Star Tribune in March. However, Floyd said his workouts still don’t include running. The 2013 first-round pick missed all but one game last season after undergoing arthroscopic surgery to clean up the meniscus in his right knee. This spring, Floyd’s quad still wasn’t working properly after the nerve controlling it was impacted during surgery nine months ago. Floyd said it “might be a little too early to say” whether or not he’ll play for the Vikings this season, his last year under his rookie contract in Minnesota. The Vikings picked up Floyd’s fifth-year option in 2016 worth nearly $6.8 million, which was guaranteed for injury and is now fully guaranteed. Floyd remains hopeful he’ll make a full recovery and wouldn’t go as far as to say his football-playing career was in jeopardy. Floyd declined to get into details about his injury, adding the recovery process is out of his control. In the meantime, veteran defensive tackle Tom Johnson has taken Floyd’s place in the starting defense next to Linval Joseph during two Organized Team Activity practices open to the media this month. The Vikings also drafted Jaleel Johnson and signed ex-Packers veteran Datone Jones and moved him to defensive tackle. Which Viking is one of the most underrated NFL players ever?